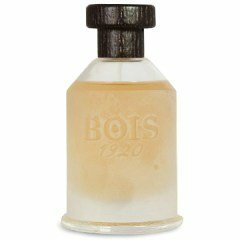 Sutra Ylang is a perfume by Bois 1920 for women and men and was released in 2005. The scent is spicy-floral. It is still in production. I found this censer-like, light flowery scent really outstanding and special. I would say, ylang is really the nearest association, but I can't find this note in the list. I had once a shower gel with patchouli. Strange to say but it was more likely to incense than to patchouli. If I would add ylang-ylang to that fragrance, I would get something like SUTRA YLANG. Till the base I wanted to buy a full bottle. Sadly it changed a lot on my skin. When a light/spicy perfume works not well on my skin, I smell paprika. It happened again. So unfortunately I can not wear this perfume with its weird and false end. SUTRA YLANG was placed in the unisex category rightfully. Sillage and endurance are proper. Because of laurel, flowers (carnation, ylang) smell spicy and not common. Thanks to moss, the ambery-woody base is quite exciting as well.